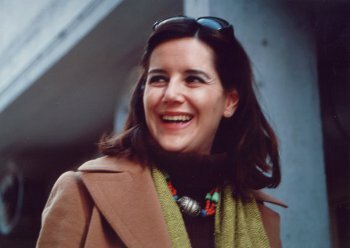 Back in 2010, the wonderful Italian blogger and picture book aficionado Cristiana Clerici of The Tea Box contributed to 7-Imp interviews and book reviews of international picture books whenever the mood struck her. Over at The Tea Box, Cristiana shared her love of books and followed titles from all over — with special attention to Italy, the United States, the UK, France, Spain, and South American countries. She maintained three pages in three languages (Italian, English, and French), so most of her time went into translating her own posts. You can read more about that—and Cristiana—here. This page archives her contributions to 7-Imp, though for now the International Spotlights are on hold.